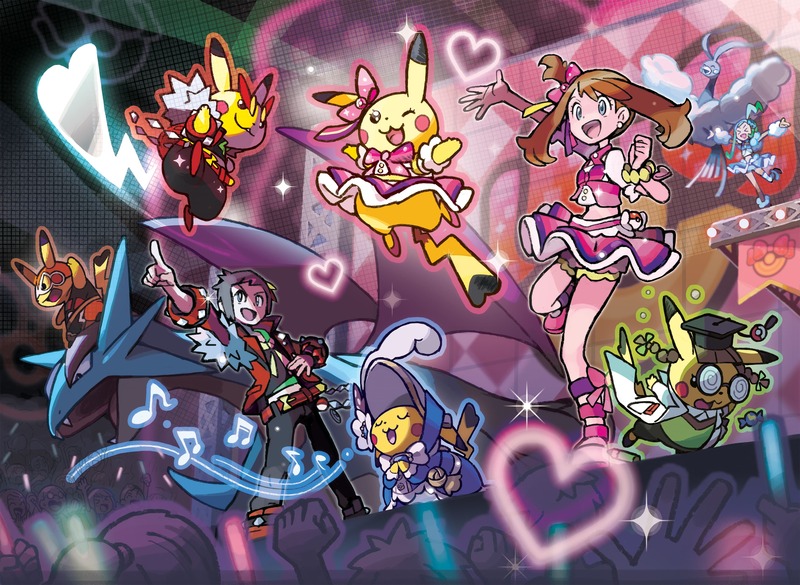 The Hoenn region’s Pokémon Contest Spectacular will be a key destination for those that pick up Pokémon Omega Ruby and Pokémon Alpha Sapphire later this year. The venue will allow players to enter their Pokémon in any of five different categories -Beauty, Coolness, Cleverness, Cuteness and Toughness – where they will be judged on one of these conditions. The Toughness Contest, for instance, tasking you with making your Pokémon display moves that show off just how tough it is. That will see moves like Flying Press excite the crowds, but those such as Play Nice boring them. After entering the Pokémon Contest Spectacular for the first time you will receive your own Cosplay Pikachu, being unique as it knows moves that a normal Pikachu cannot learn which can be used in battle. That sees Pikachu Rock Star know Steel-type move Meteor Mash, Pikachu Pop Star able to use Draining Kiss, Pikachu Ph.D. learning Electric-type move Electric Terrain, Pikachu Belle learns Ice-type move Icicle Crash, and Pikachu Libre can use Flying Press. There’s also the opportunity to participate in multiplayer contests against friends, take photos of each show, and build a following of fans that will appear at each Contest Hall entrance to help your Pokémon win future contests.